Deceptively elegant and packed with perfectly calibrated machinery, there are few accessories as exquisite as watches. Millions are sold every year, proving that no mobile device can rival the style of a perfectly selected watch. With so many options available, Twelve is a timely new arrival for those hoping to become more discerning collectors. Published annually, the journal focuses on mechanical timepieces and luxury watches from around the world. It is meant for watch enthusiasts of any level who would like to fine-tune their knowledge and grow into more informed buyers. Each issue includes interviews with industry leaders, opinion pieces from experts, and anecdotes from fellow aficionados. In-depth pieces explore watch history, watchmaking, the industry, and, of course, the products themselves. 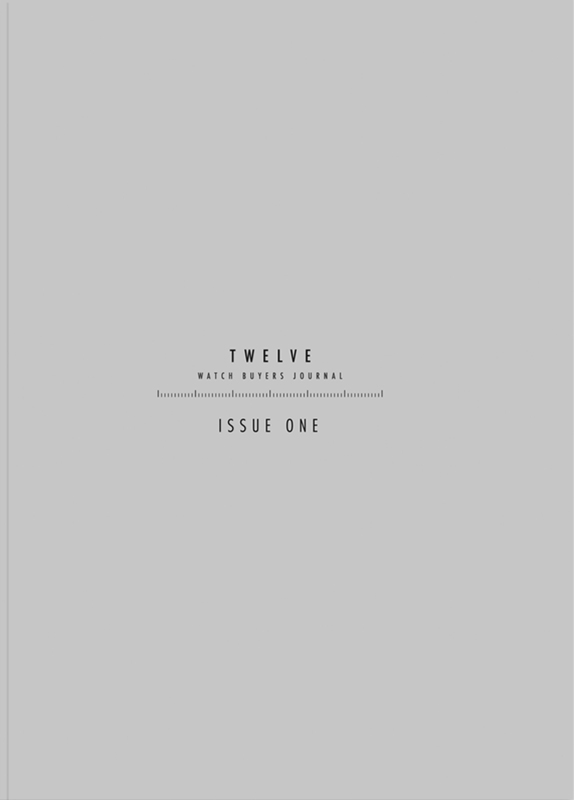 Unlike competing periodicals in this genre, Twelve will carry no advertising and is not being sponsored by a watch manufacturer. The premier issue of Twelve marks the start of a decade-long project that will extend to twelve issues, each, appropriately, with twelve chapters apiece. With a sophistication worthy of its subject, Twelve will become a must-have piece in any watch buyer’s collection.